Today a truly great man celebrates his 70th birthday. What better opportunity to praise one of the most accomplished contemporary auteurs? Few living directors have proven themselves to be quite as worthy of praise and acclaim as Werner Herzog. Over fifty feature films, documentaries and other miscellaneous productions, this looney, charismatic German man has crafted an amazing filmography of character, depth and variety. From his early days crafting bizarre films about dwarf rebellions, to his astoundingly successful infiltration of Hollywood - have there ever been more brilliantly eccentric mainstream productions as Bad Lieutenant and Rescue Dawn? - Herzog has consistently enriched the cinematic terrain. Even his 'reinterpretations' of familiar tales (such as his nightmarish take on Nosferatu) are the rare justified remakes. His crowning achievements are many, but we cannot fail to pay respect to his work on Aguirre: Wrath of God and Fitzcarraldo - productions of such manic scale and troubled history, yet achieved their incredible goals while hypnotising audiences with their dreamy, beautiful portrayals of madness. His documentaries are every bit as colourful as his fiction films - never tackling his chosen subjects without his own fascinating, probing and unusual questions about the nature of life, the universe and everything. 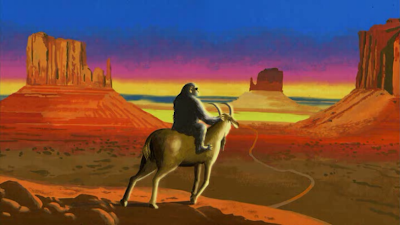 You rarely hear Attenborough pondering the reasons why monkeys do not make slaves of lesser, dumber animals. He is an accomplished director of actors. Most memorably, his collaborations with Klaus Kinski are amongst the all-time great actor-director collaborations. Of course, the off screen shenanigans of the two are equally fascinating, but we can never forget the great art they made together. In recent years, he has gotten a career best performance out of Nicholas Cage alongside inspired & demented turns from Christian Bale and Michael Shannon. All are likely to have their own favourite Herzog production. But few directors have been quite as interesting off and on the camera. From shoe eating to getting shot on camera or saving Joquain Phoenix from a car crash (and subsequently disappearing into the night as mysteriously as he appeared) Herzog's antics are a constant source of entertainment. He is a man of substance, of great charisma and with a killer sense of bizarre humour. Plus, you have simply got to love that accent. 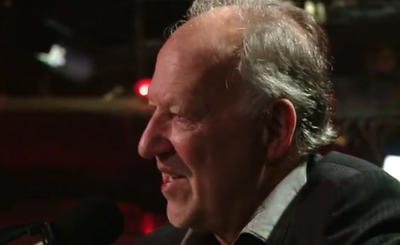 So happy birthday to Werner Herzog on his 70th birthday, as he shows no sign of slowing down. A cinematic genius whose soul has never stopped dancing.